Another week full of gains sent the major markets to pave their stairways to heaven. Bears are scared to emerge from their torpor like they knew it’s still cold out there. Well, not cold enough for a stock market that is burning this January – pushing the prices higher in almost vertical direction. US government shut down had almost no impact on the financial markets, while many companies already announced better than expected earnings results. We are awaiting earnings announcements from major giants this week: Facebook, Amazon, Microsoft, Google, and Apple are all going to release the results on Wednesday and Thursday. Let’s see how $1000 iPhone pays out. There was also a change in Fed’s Chair, Ms. Yellen was replaced by Jerome Powell, who is apparently a fan of low-interest rates, although there are 3 more hikes planned this year. 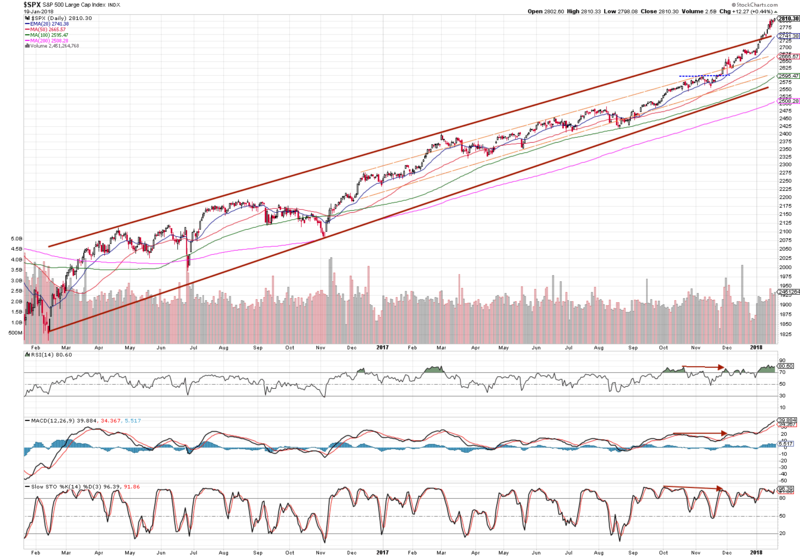 An index has not given a sign of pulling back yet. It seems like the price is looking for its path to uncharted territory. 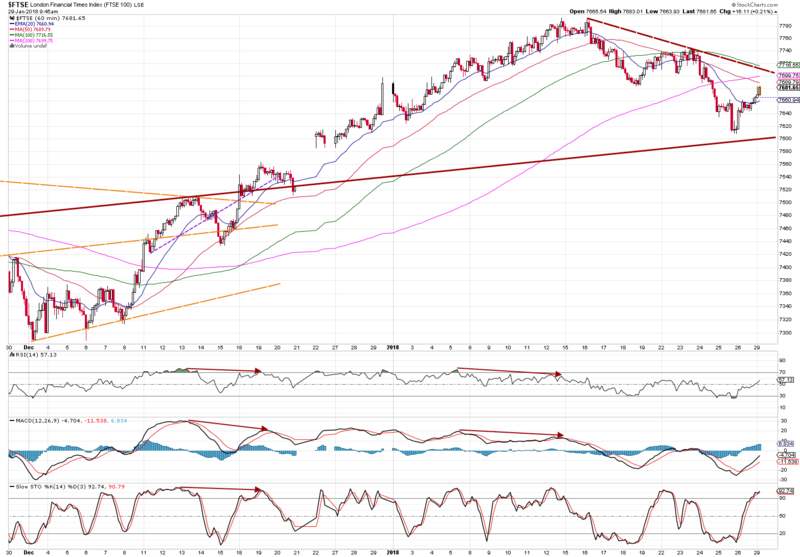 On the hourly basis, the price is finding its support on 20 periods Exponential Moving Average. UK’s top index emerged from its sideways trading channel in the beginning of January. 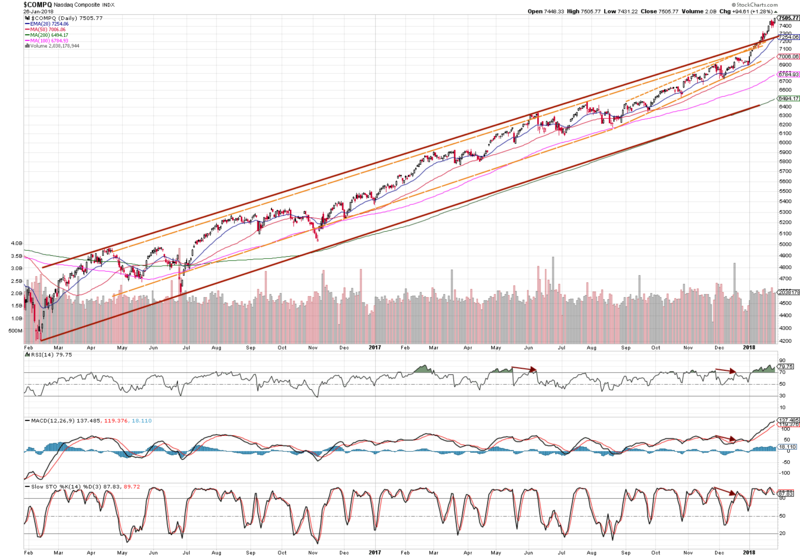 This week the stocks seemed to pull down a bit when we are going to experience a test of a new support that is depicted by top wide red line. From a closer look, it is obvious the price almost hit the support. 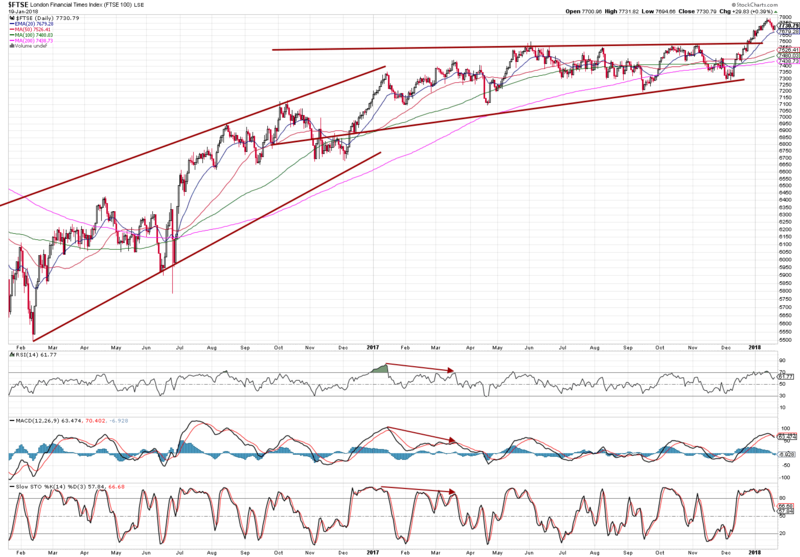 Let’s wait whether it can break through the recent resistance level built last week.